Fans of the popular novel Alice’s Adventures in Wonderland by Lewis Carroll will soon be in luck, as Regents International School Pattaya is putting on a fantastical stage adaptation of the story from 17-19 November. The Regents production coincides with the 150th anniversary of this weird and wonderful story, in which the young protagonist Alice falls down a rabbit hole and encounters a series of quirky characters as she travels through the imaginary realm of Wonderland. The story has been celebrated for decades and is loved by both young and old. 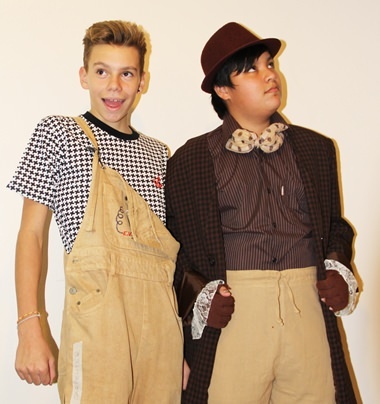 Students try out their moves in costume for the first time during a rehearsal of Alice in Wonderland. A cast of more than 50 Regents students have been working on this project over a number of weeks in rehearsals and as part of their curriculum time. The Regents production will give a fresh ensemble take on the story, and features original music composed by a group of very talented young student musicians in Years 10 and 12, who will also perform their own work for the public audience. 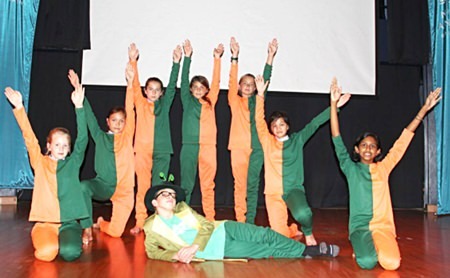 It is the first time that the Music and Drama departments have collaborated so extensively on a project, a milestone for performing arts at the school. Claire Hullock, Head of Drama at Regents, says the entire process has been about pushing students to exceed their own expectations. “Whether or not you are a star performer, we know that doing music and drama can help boost confidence and also teach vital listening and critical thinking skills. The collaborative process has been invaluable in stretching students to achieve their very best while working together,” she said. The Walrus and the Carpenter – two characters from the story of Alice – rehearse taking a stroll together. Earlier this term, the cast of Alice galvanized the school with their dance moves during a break-time flash mob, and the video went viral on Regents’ social network. The project has also been very well supported by a team of helpers from Regents’ Parent Representative Group (PRG), who have been designing the costumes for the production. Tickets for the production of Alice in Wonderland are available from the Primary and Secondary offices of Regents International School and cost 200 THB each. For more information, call 038 418 777 or follow #aliceatregents online.